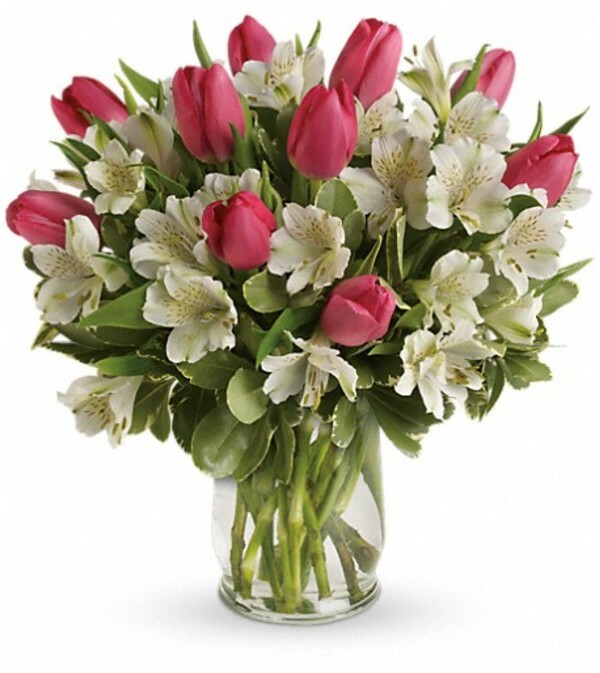 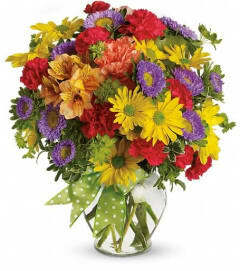 Romance buds in the spring - and it blooms beautifully in this charming bouquet of tulips and alstroemeria. Presented in an elegant hurricane vase, it's a heartfelt gesture she'll remember through all seasons.Includes pink tulips, white alstroemeria and variegated pittosporum. 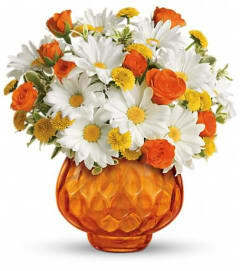 Delivered in a glass hurricane vase.